No nation stages massive parades and collective performances on the scale of North Korea. Even amid a series of intense political/economic crises and international conflicts, the financially troubled country continues to invest massive amounts of resources to sponsor unflinching displays of patriotism, glorifying its leaders and revolutionary history through state rituals that can involve hundreds of thousands of performers. Author Suk-Young Kim explores how sixty years of state-sponsored propaganda performances—including public spectacles, theater, film, and other visual media such as posters—shape everyday practice such as education, the mobilization of labor, the gendering of social interactions, the organization of national space, tourism, and transnational human rights. Equal parts fascinating and disturbing, Illusive Utopia shows how the country's visual culture and performing arts set the course for the illusionary formation of a distinctive national identity and state legitimacy, illuminating deep-rooted cultural explanations as to why socialism has survived in North Korea despite the fall of the Berlin Wall, the collapse of the Soviet Union, and China's continuing march toward economic prosperity. With over fifty striking color illustrations, Illusive Utopia captures the spectacular illusion within a country where the arts are not only a means of entertainment but also a forceful institution used to regulate, educate, and mobilize the population. "North Korea is not just a security or human rights problem (although it is those things) but a real society. This book gets us closer to understanding North Korea beyond the usual headlines, and does so in a richly detailed, well-researched, and theoretically contextualized way." "One of this book's strengths is how it deals at the same time with historical, geographical, political, artistic, and cultural materials. Film and theatre are not the only arts Kim studies—she also offers an excellent analysis of paintings, fashion, and what she calls 'everyday performance.' Her analysis is brilliant, her insights amazing, and her discoveries and conclusions always illuminating." Suk-Young Kim is Associate Professor in the Department of Theater and Dance at the University of California, Santa Barbara, and coauthor with Kim Yong of Long Road Home: A Testimony of a North Korean Camp Survivor. "...this book is full of valuable insights into North Korean culture and is an indispensable addition to the growing literature in English about this bizarre and impenetrable country." "North Korean film and drama are underrepresented in scholarship, and this fact alone makes Kim's book a valuable contribution to the literature. However, Kim also offers an outstanding analysis of how utopian imagination supplants reality, how identity-making state rituals construct an imagined history, and why North Korea 'is so obsessed with theatrical presentation of this idealized self-assessment while its political, economic and sociocultural reality presents a stark contrast.'" "Kim's nuanced and always interesting analysis of North Korean films and theater offers a remarkable window onto a society that has largely resisted the prying eyes of outsiders. She notes in the appendix that 'the real challenge in researching North Korea emerges not from the dearth of available materials, but from the overabundance of primary sources begging for researcher's attention.'... Illusive Utopia is a tremendous accomplishment." 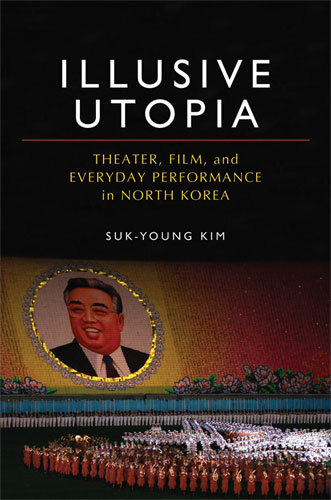 "Illusive Utopia: Theater, Film, and Everyday Performance in North Korea is a brilliant example of tenacious academic pursuit." "Illusive Utopia is ceratinly a well-researched, well-written book, but its main use will be as a reference work, a bibliographical launching pad for studesnts who want to delve more deeply into one of its many subjects of discussion." "We owe a debt of gratitude to the author for her tenacious effort to sift through the vast amount of primary sources and to synthesize them into a thematically arranged narrative of six chapters... Published in 2010, Illusive Utopia remains relevant and will be for many years to come, regardless of the fate of the people and regime of North Korea. The near perfection to which performance and politics have served each other is already achieved in that vacuum of propaganda known as the Democratic People's Republic of Korea."